According to one study, (Selden & Colvin, 2003, Harvard Business Review) nearly 80% of mergers or acquisitions fail to reach their initial performance targets. Not all of those crash and burn, but the results are none-the-less disappointing. When first contemplating a merger, the benefits are rather easy to see and to quantify. The problems or impediments are far more numerous, yet most of them are hidden from view, like bats in a cave. They will eventually come out and swirl around us, but at the start we do not know the magnitude of the problems. If we are lucky, and we picked the right cave, the problems will be small and manageable, but if we are unlucky, the sky can turn black with a swarm of issues, and our safety nets are woefully inadequate. The senior leader “falls in love” with the concept of the merger and loses a sense of reality. If anyone dares to question the sanity of what is being contemplated, that person is dubbed a non-team-player and sent off to the minor leagues. Just as love can be blind, managers can ignore the symptoms of problems until it is far too late. 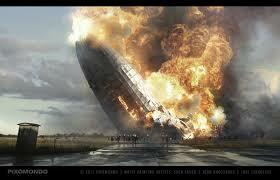 Then, all that can be done is to mitigate the damage. The deal is conjured up as a financial arrangement having to do with ownership of property, technology, and processes. The cultural aspects of getting people to work together effectively is assumed until the deal is struck. The polarization between groups and the interpersonal hassles metastasize throughout the organization and become untreatable very quickly. During the run up to a merger, people are aware of what is going on, even though there is a laughable charade of secrecy. The highest performers recognize the risk and have their alternate landing spot already selected. By the time of the announcement, some of the best people already have job offers elsewhere. The poorer performers hunker down in the trenches and become problems to deal with after the news is announced. The games played during the due diligence and negotiation end up destroying trust within both organizations, and neither group has much trust in the other entity. Building up a culture of high trust is a daunting task under the best of conditions, and trying to do it amid the chaos of a whole new organization is about as likely as the sun turning blue. The customers of both organizations don’t care a whit about the integration. They just want seamless service and excellent quality products on time. When both organizations are urgently focused on stamping out internal problems and redefining their processes, there is little focus on satisfying the established customer base. In hundreds of ways the poor customer’s needs get shoved to the back burner every day. Since there are alternatives, it does not take long for smart customers to turn elsewhere. People at all levels are petrified. They really do not know their future, and they just hang on until the dust settles. Teamwork is pretty rare, and everyone is looking out for number one. Meanwhile the work is not getting done as before because people are not getting clear marching orders. Since a good portion of the discussions are supposed to be secret (which is a true sham since everyone in both organizations knows what is going on) little credible communication is coming out of the top level. This environment is a perfect incubator for rumors and gossip that only add more instability to an already fragile system. Many of the procedures must be recast with both groups having to change in some ways. It is common for both groups to feel they have been “taken over” and forced to revamp their culture to accommodate the other entity. Bitter feelings arise as people would rather live in the world that existed before. Of course that is not possible, so there is a grieving process going on, just when the organization needs people to be at their best. You can observe true chaos in one of these situations. It is as if a major earthquake just hit off the coast, and people on the island are scrambling because of the tsunami to follow. Not much constructive work is happening during this time. These are just ten of the conditions that make the M&A process so chancy. There are dozens of other negative things going on as well. It is no wonder the track record of success against the goals is so low. 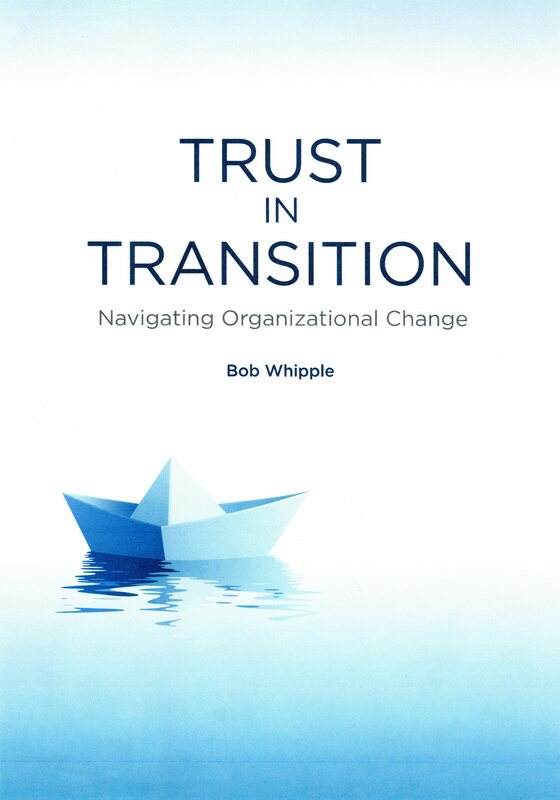 My new book, Trust in Transition: Navigating Organizational Change, explains how to improve the odds dramatically by focusing equal energy on the cultural parts of the integration as the mechanical process. Doing this mitigates all of the problems listed above and gives a fighting chance for success, despite the issues. The book will be launched on August 18, 2014 by ASTD Press and is currently available for preorder. The book is about how organizations must do a better job of preserving and enhancing trust when they go through changes such as reorganizations, mergers, acquisitions, or other restructurings. Your purchase of the book includes access to a set of videos that enhance several of the key points. For a video introduction to the book, click here. This entry was posted on Tuesday, June 24th, 2014 at 7:54 pm and is filed under Communications, Enabling Actions, leadership, Mergers, Table stakes, Teamwork, Transparency, Trust, Trust and fear, Trust and motivation, Trust and respect. You can follow any responses to this entry through the RSS 2.0 feed. You can leave a response, or trackback from your own site.